Divine Bits of Beauty was born out of my love of mosaics and my passion for piecing things together. I have always felt most at home and connected to my heart when immersed in the creative process. The experience of play, discovery, inspiration, aliveness, beauty, and reverence feeds my soul and brings me joy! I’ve been working in clay and various art mediums for much of my life. I love to experiment with materials, learn new techniques, and to continually grow and expand artistically. In 1998 I discovered mosaics and find the limitless possibilities within the process delightful. Most of my mosaics are like mixed-media collages. 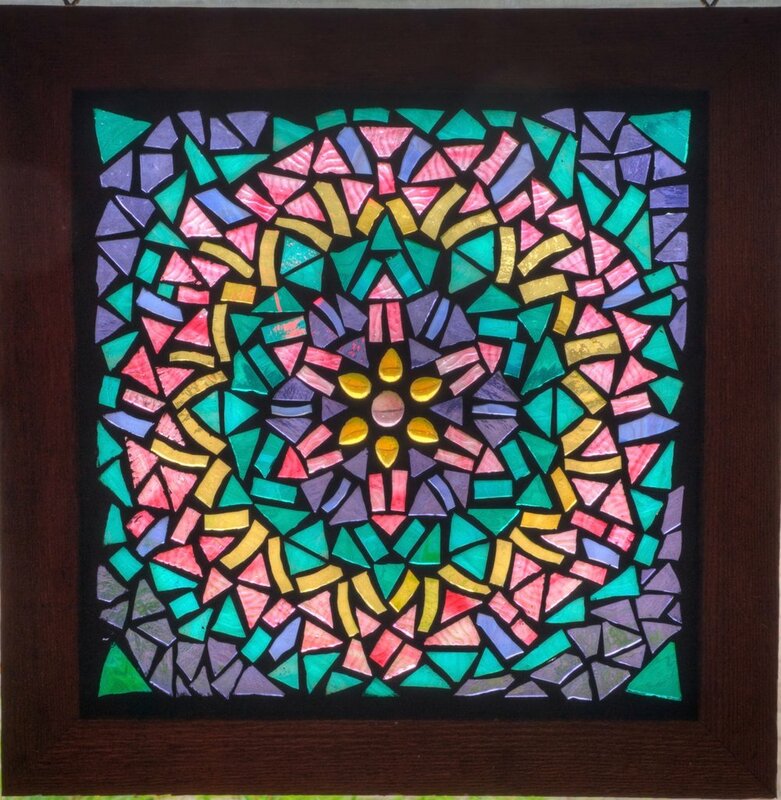 I enjoy creating unique pieces to include in the overall mosaic using polymer clay, gold leaf, crystals, metal pieces, beads, specialty art glass, and mirror pieces. Many of my mosaics reflect my love for the sea, incorporating shells, beach glass, mermaids, driftwood and more. Every piece I create is like a journey in itself, infused with beauty, heart, and meaning. See Mosaic options below. All my mosaics are mixed-media and are made with Glass, Clay, Gold Leaf, Metal, and Natural and Found Objects. I can do commissions, custom pieces, and made to order. I look forward to hearing your ideas, incorporating your visions, and creating the perfect custom piece for you! For that Special Someone, or Occasion: Weddings, Birth, Memorial, Pet Memorial, Altars & Shrines. These can include: Names, Dates, Photos, Quotes, Meaningful Images and Personal Treasures.